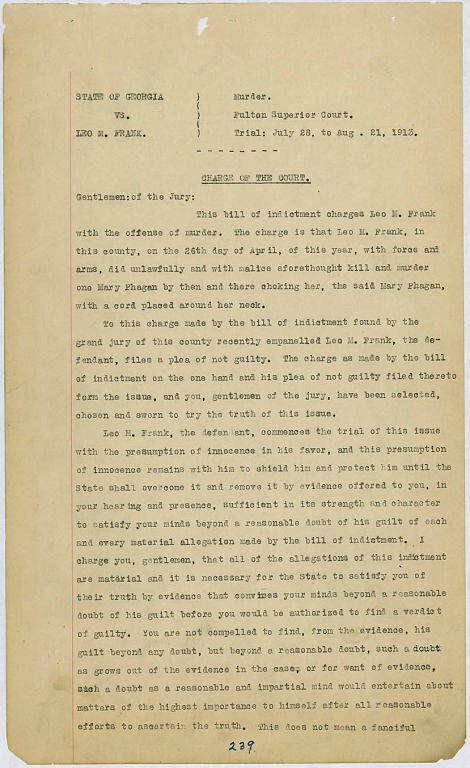 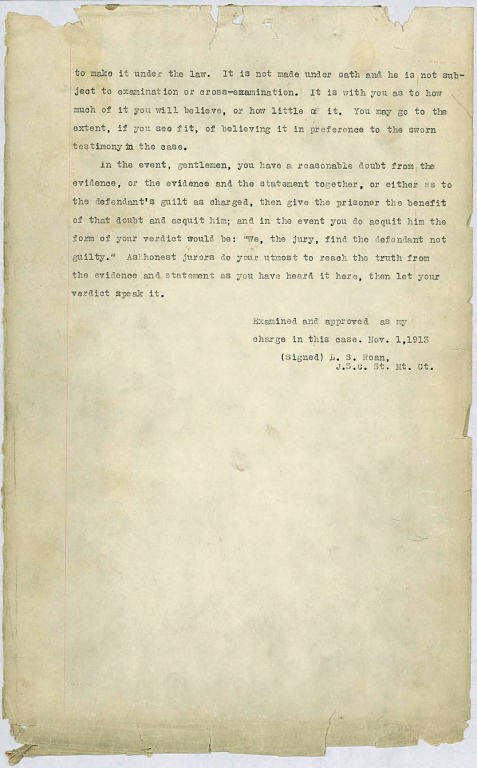 Judge Leonard Roan’s Instructions to the Jury and Conviction of Leo Frank, Monday Afternoon, August 25, 1913. 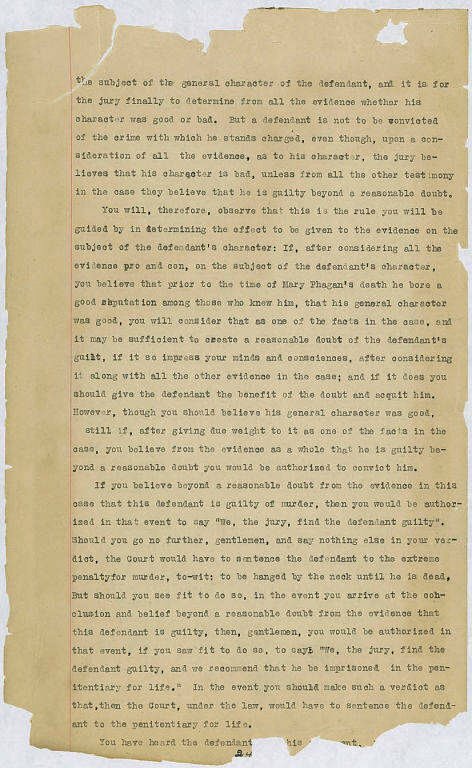 The Jury began deliberation at 1:30pm, at one point during the review a vote was taken and the result was 11 to 1. 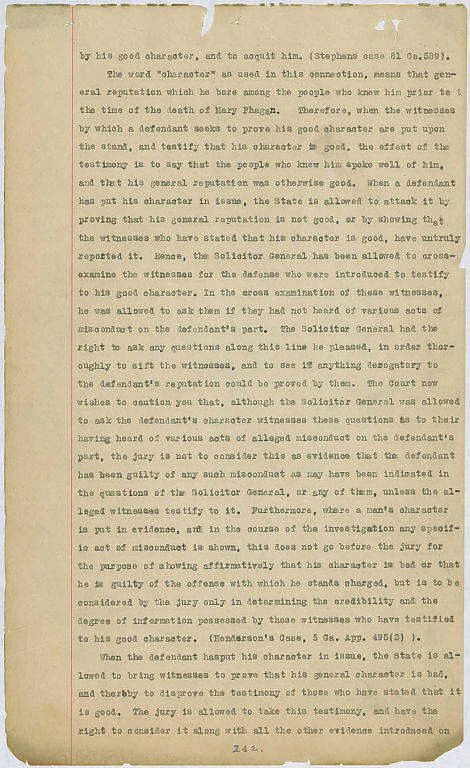 The dissenting voter told the group he didn’t want a fast conviction, but for his fellow jurymen to to spend more time discussing the case. 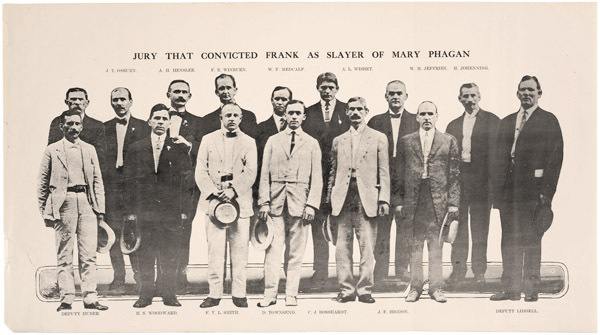 As a result the Jury continued to deliberate, and at 4:39pm after more than 3 hours behind closed doors, the Jury came to an unanimous decision after a second and final vote. 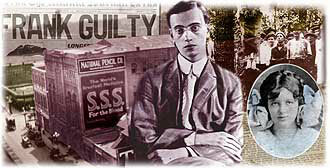 The verdict was guilty as charged, and sentencing recommendation was ‘without mercy’ implying a death sentence for Leo Frank. 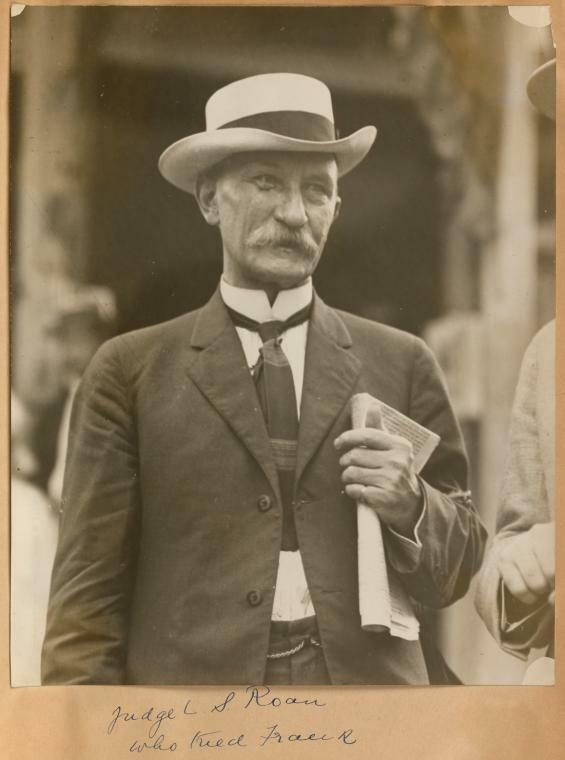 The verdict was delivered to Judge Leonard Stickland Roan at 4:56pm and then each Jury member was polled individually. 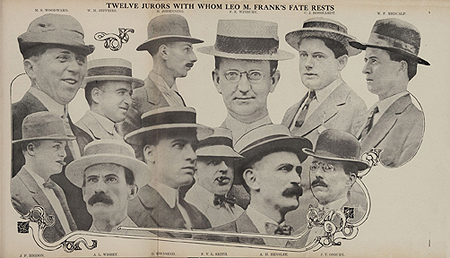 The Leo M. Frank conviction is most often cited as the impetus for inspiring the founding of the Anti-Defamation League of B’nai B’rith (ADL) by Sidney Livingston in the fall month of October 1913. 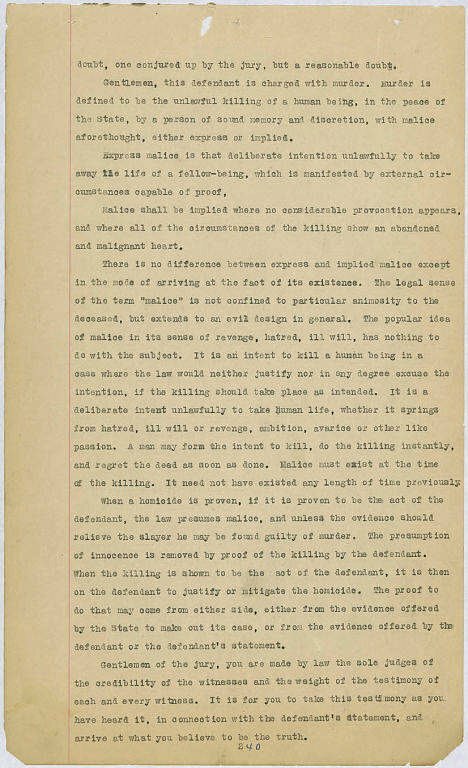 Charge of the Court at the Leo Frank Trial, August 25, Georgia Supreme Court Case File, 1913. 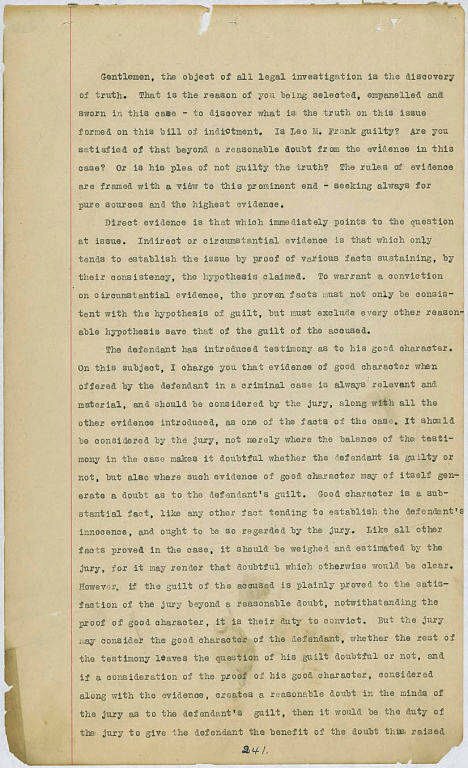 Leo Frank Trial Brief of Evidence, 1913.